great quilt, I think the neutral version is my favorite. I want this book so bad I can’t stand it. Thanks! While Jenny’s comment alone may have swayed me, I assure you it was a completely random pick, done my daughter (not yet a reader)! Jenny, I appreciate your enthusiasm and hope you enjoy the book very much! 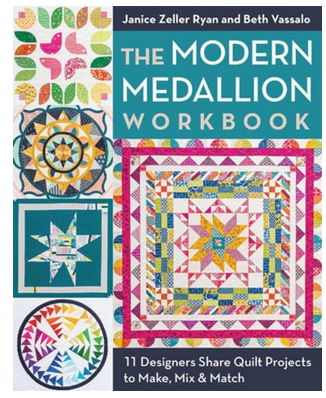 Thank you to all who posted such kind and enthusiastic comments last week during the blog hop for the new Modern Medallion Workbook. I myself had such fun and was so inspired looking at all the other posts and amazing quilts on the tour. ha! This is nothing — as the bloghop went on, I started sounding more and more desperate. I. wanted. this. book. I’m so excited, thanks again!